Of course, this story is exaggerating in favour of the product. To what extent an illegal Mexican rum actually threatened the Spanish spirits industry can hardly be fully determined. In addition, of course, the question must also be raised, what today’s El Ron Prohibido has in common with that forbidden rum of history. However, even today this is only of marginal interest, because in essence I would like to put the rum through its paces. 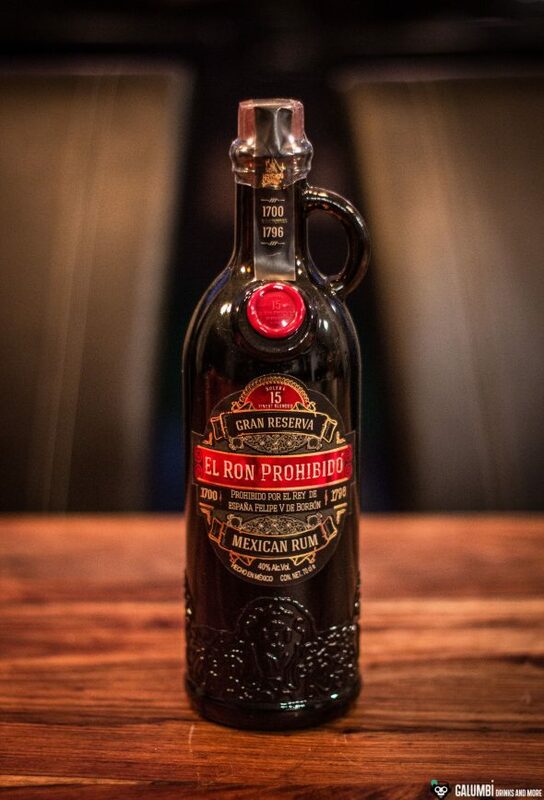 The El Ron Prohibido Gran Reserva 15 is a Mexican Solera blended rum distilled from molasses. And saying that, I have to start directly with some criticism: As already mentioned in my article about the Ron Cihuatán Solera 8, a Solera spirit with an age indication is a dubious thing. Malicious tongues even claim that one is deliberately led astray here. Because one thing is certain in any case: this rum is not really 15 years old, even if you might think so due to its name. Especially in Central and South America there is a lot of “playing” with ages going on. This is partly the case because of very “tolerant” legal framework conditions, which allow an age indication on the label even if only a small droplet of the corresponding age is contained in a bottle, but on the other hand it is the solera process, in which only parts of the rum really have the specified age. 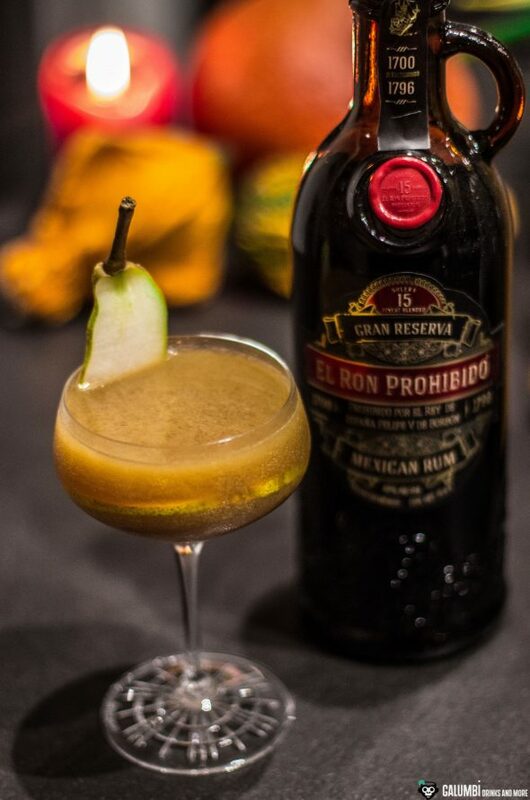 Those who really look for a reliable comparison between El Ron Prohibido Gran Reserva 15 and other matured spirits like Scotch whisky, Bourbon or rum from other nations like for instance Jamaica have to be disappointed. I must confess, I don’t really know what to expect from this bottle. The El Ron Prohibido Gran Reserva 15 is bottled with an ABV of 40% vol., but measurements have shown that 38g sugar per litre has been added. This is a considerable value. Well, let’s have a look. Aroma: On the nose, I can find brown sugar, caramel tones, dark cake dough as well as subtle citrus tones. A certain alcoholic note is also present, of which I cannot really say whether I find it disturbing or not. Taste: El Ron Prohibido Gran Reserva 15 is sweet, really sweet. A rum that can immediately be categorized as a so called “sweet rum”. The sweetness unfortunately turns out to be a little sticky and is very engaging. In combination with a certain metallic youth, this rum sometimes reminds me a little of the characteristics of sweetener tablets. In addition, there is a lot of chocolate. 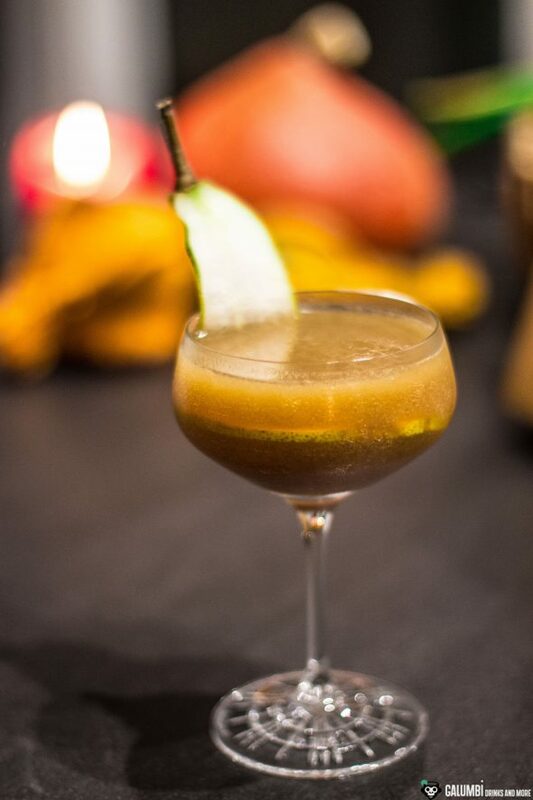 But although one might expect something different in view of the dark chocolate tones and the color of the rum, El Ron Prohibido simply cannot hide the fact that its 15 years are not really 15 years. An optical Methuselah turns out to be a schoolchild. I can still recommend this rum to friends of chocolaty sweet rum, but it doesn’t really suit my taste, which has changed meanwhile (at a time when I wrote about the Ron Botucal Reserva Exclusiva, I probably would have taken less offence). Well, frankly, this rum is definitely not a big temptation for me to enjoy neat, here I would rather go for other rums. 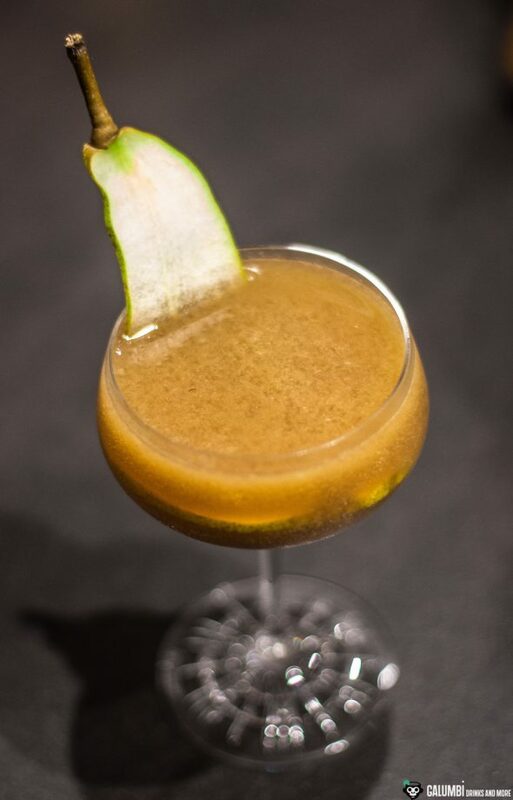 With less than 30 Euro per bottle, the rum isn’t unspeakably expensive either – and quite usable for cocktails, as I hopefully can show with the “Forbidden Pear”. This drink, which was inspired by an article in a magazine a friend of mine showed me, fits perfectly into the Advent and Christmas season and is recommended for imitation! 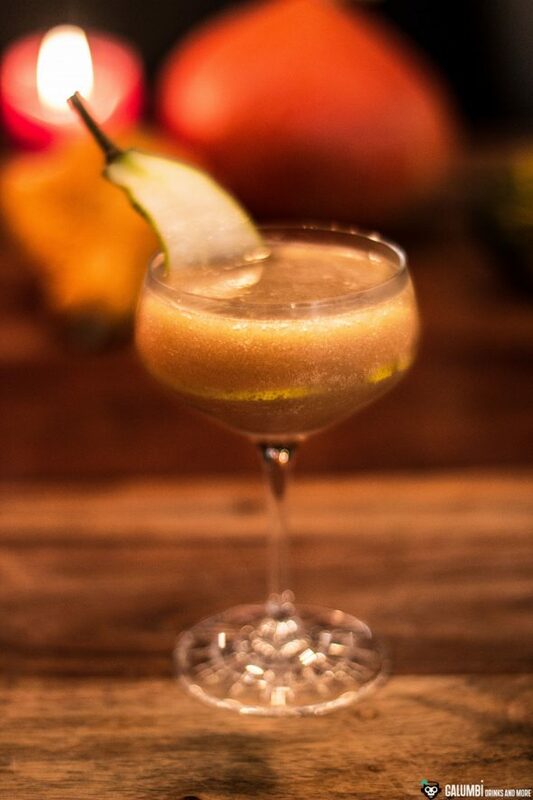 Preparation: Shake all ingredients vigorously in a shaker on ice and double-strain into a pre-cooled glass.